Colombian gold shone in 2016, upon the international stage but also in Colombia in the two Fairmined certified mines in the regions of Huila and Nariño. Indeed, in December 2016 the Iquira Cooperative and the Coodmilla Cooperative (Coodmilla Ltd.) received a visit from representatives of the Samlerhuset multinational, who had produced the Nobel Peace Prize medal with the responsible gold of the two mines. A delegation from Samlerhuset, owner of the Mint of Norway, traveled to Colombia from December 13 to 16, 2016 to visit first the Iquira mine and then La Llanada. These visits were a culmination of the efforts of the two mines to obtain the Fairmined certification. 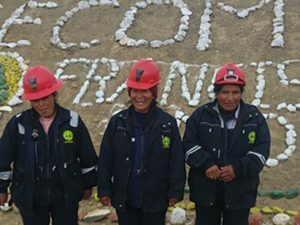 The first one, the cooperativa multiactiva agrominera del municipio de Iquira, obtained the Fairmined Certification in 2014, with the goal of implementing responsible social practices. The certification has since permitted the cooperative to export its gold to international markets at a fair price, receiving an additional premium of approximately USD $4,000 per kilogram to be invested in improvement processes and community projects. For the second consecutive year, the gold used in the Nobel Peace Prize Medal came from this mine. The cooperative received further international acclaim in 2015 when it participated for the first time in elaborating the Fairmined Palme d’Or awarded at the Cannes Film Festival. 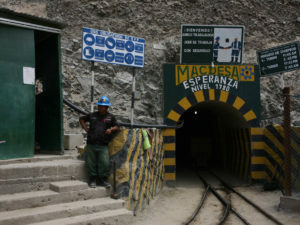 The second mine belongs to the Coodmilla Cooperative in the mining district of La Llanada. In 2015, five mines belonging to La Llanada cooperative became certified at the individual level. The rapid results and recognition achieved from the certification sparked the enthusiasm and motivation of other miners in the cooperative. 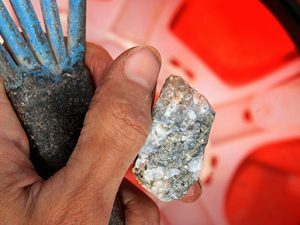 In the second half of 2016, Coodmilla applied for the Fairmined certification for its production system of ten mines, adding five new mines to the first five that sought certification. The entire cooperative watched with thrill as Coodmilla representative Daniel Riascos met Colombian President Juan Manuel Santos at the Nobel Peace Prize award ceremony in Oslo. The visits brought together players from opposite ends of the production chain, allowing an opportunity to meet and exchange ideas. Afterwards, both parties expressed their desire to continue collaborating. The mining representatives, for their part, felt proud that their efforts to develop more responsible mining were valued at the international level, and that their work reflects a positive image of small-scale mining in Colombia. For the Samlerhuset delegation, composed of company leaders and representatives from its European offices, this trip was a unique opportunity to witness artisanal mining, to learn first hand about the mining livelihood, and to better understand the commitments and positive impacts involved in the Fairmined Standard. As a parting souvenir, the miners gave members of the delegation an insignia made out of Fairmined gold and silver. After such an exciting adventure, the Europeans confessed that they would never look at a gold medal in the same way. The visits were also an opportunity to give more visibility to medals crafted out of responsible gold in the collectors market, and to continue expanding product lines and exploring new areas for business. 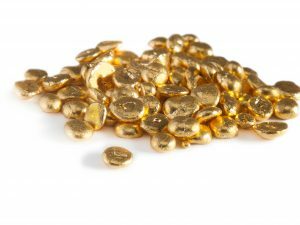 „It is about increasing the attention the entire coin industry gives to these issues of artisanal and small-scale mining, so that more companies start using gold from certified artisanal and small-scale mines. This way we can gradually improve miners’ working conditions, and protect the environment at the same time,“ said Ole Bjørn Fausa during a media interview with El Diario del Huila. The 2015 Nobel Peace Prize was the first medal in the world made out of Fairmined Gold, initiated by Samlerhuset and the Mint of Norway and developed in collaboration with the Alliance for Responsible Mining. Ole Bjørn Fausa was confident that projects of this type would continue; indeed, shortly after the launch of the Nobel Prize medal, other medals were crafted out of Fairmined Gold from the cooperatives (in Czech Republic, Slovakia, Finland, and Norway). The success was immediate, demonstrating consumers’ great interest in purchasing products containing artisanal-mined gold. The Colombian mine visits were the gateway for introducing the challenge of responsible gold into the agenda of the numismatic market, with the aim to progress forward in this giant industry and open future opportunities.